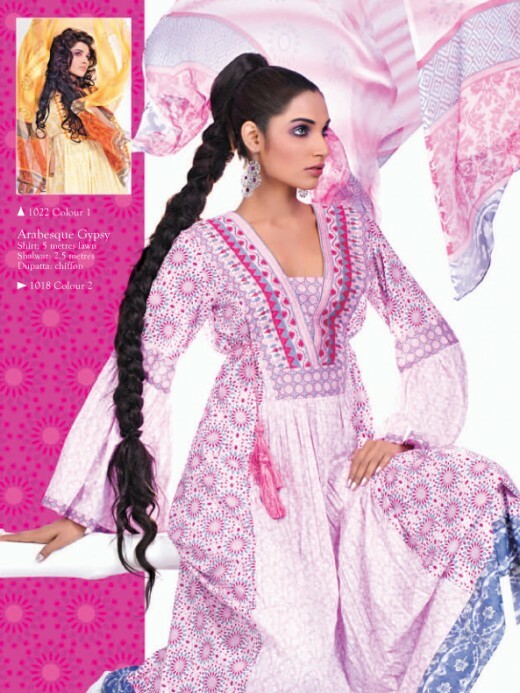 This is a very vibarant collection with beautifull patterns and colors. 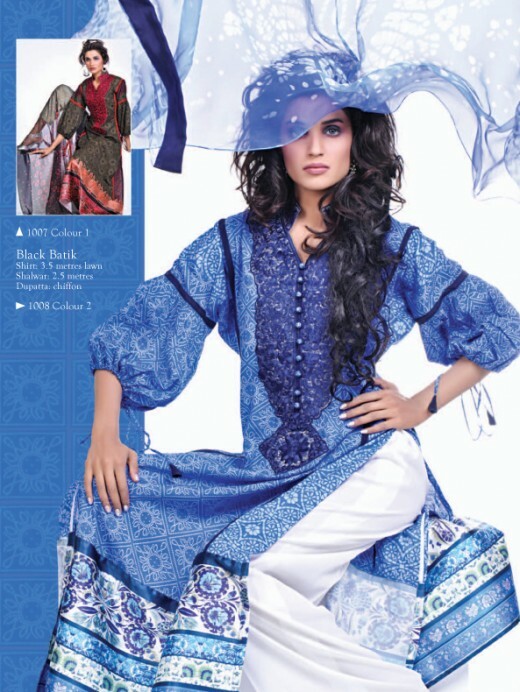 The lawn itself is great quality and well designed. 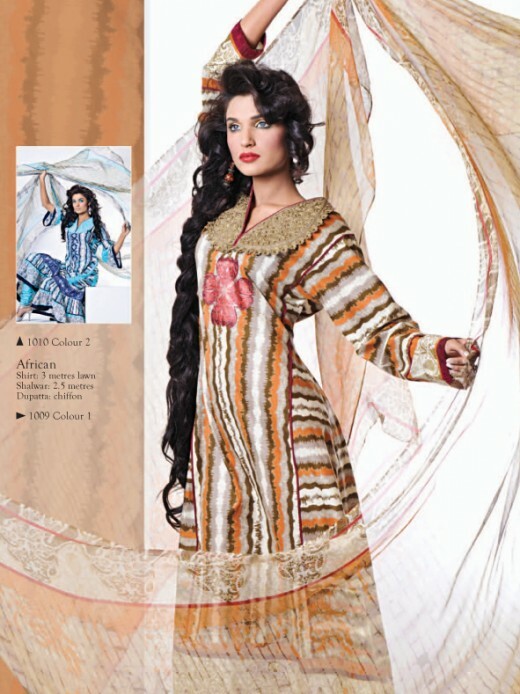 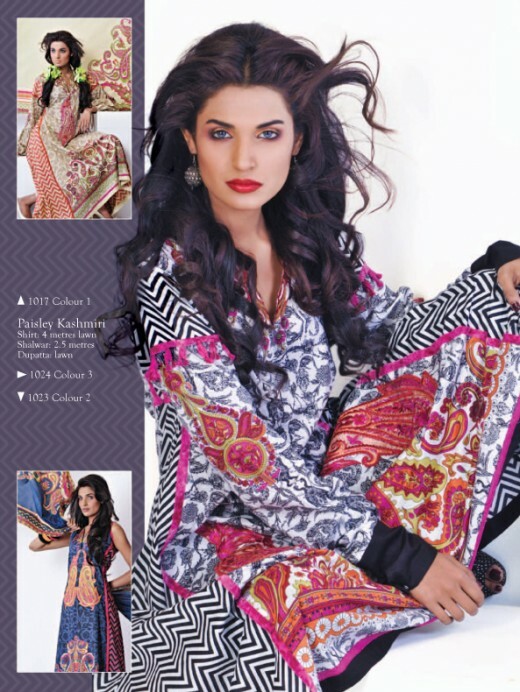 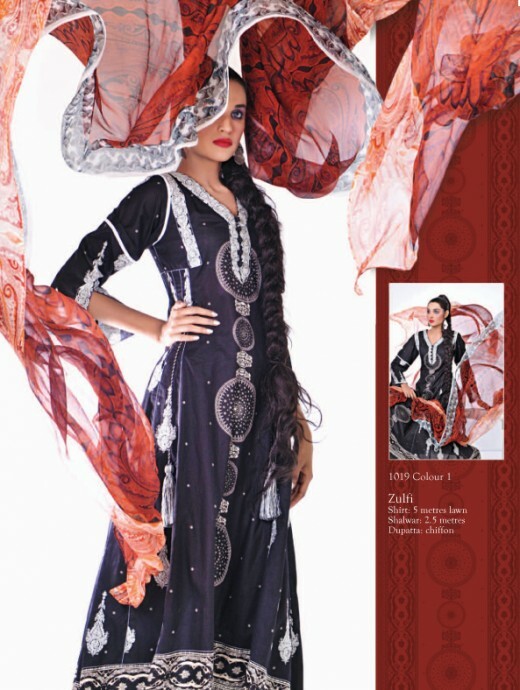 Sitara Premium Lawn collection 2011 is an exclusice collaboration of fashion designer Shamaeel Ansari. 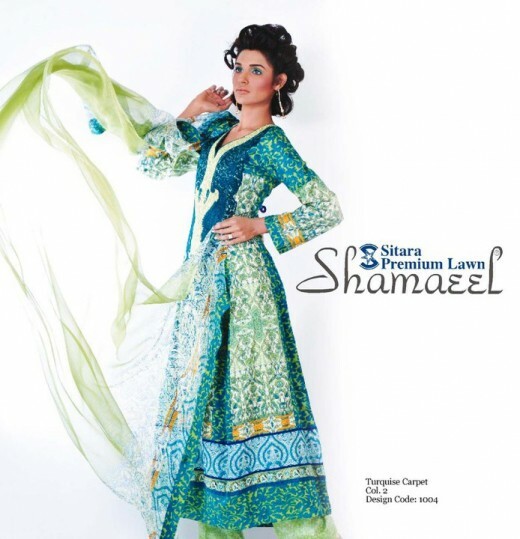 This is must have for this summer so don’t forget to get ‘Sitara Premium Lawn’. 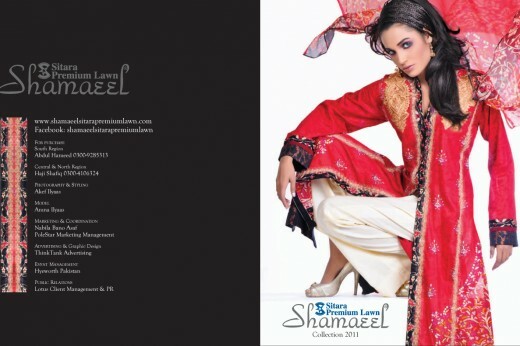 Shamaeel Ansari is all over morning shows these days promoting this year lawn collection which shows how much hopes she has about the quality and uniquness of Shamaeel’s Sitara Luxy Lawn 2011.